Easter weekend might be a whole week away, but I figure it’s never too soon to start spring brunching with friends. We could call it Friendster—get it? Like “Friendsgiving” but for spring… (and not like the late 90’s social media website). Ok, maybe not. I can hear you groaning through the computer screen. 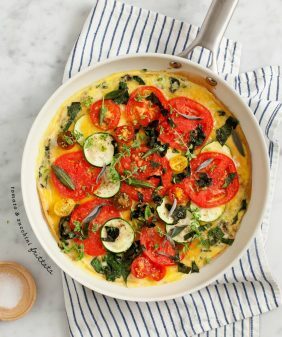 Hipster holidays aside, I have to talk about this frittata. I’ve been making frittatas for years but I’d say they were just average (it’s pretty hard to mess them up). This time I’ve gotten it really right and I have a couple of good tips to share. 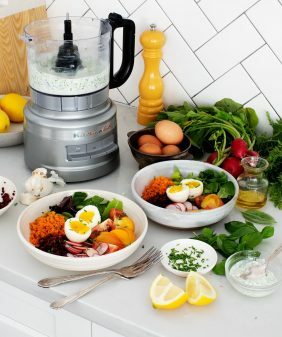 First thing: blend your eggs in a blender. I’m sure many of you do this already. I, myself, have been lazily ignoring this tip for years thinking my whisking arm strength was enough. But aerating them in the blender is really the trick to a lighter, fluffier frittata. Number two: add your fillings in two stages so they don’t all sink to the bottom. I learned this one by accident. (At first, I did this purely as a food styling trick). It not only made my fritatta look prettier, it created a better texture since the veggies were more evenly distributed. So that’s it – easy and eggy. Happy weekend! Is that an 8″ or 10″ skillet? 8 inch – if you use a 10 inch skillet, add at least 2 more eggs. delicious recipe! I´ll do it! have a nice weekend! Great tips! I haven’t used a blender for my eggs… I’ll try that next time. Also, the layering of ingredients makes sense. 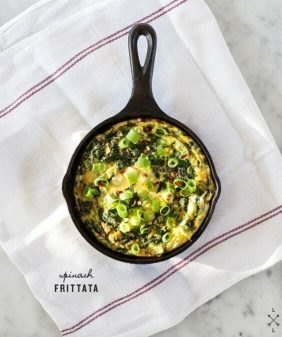 Now I’m craving a frittata. Oh my, this is just beautiful. I kinda want this for dinner tonight 😉 Great recipe. I may have to skip my morning smoothie and treat myself to this delicious breakfast! Thanks for the inspiration! I love fritattas! 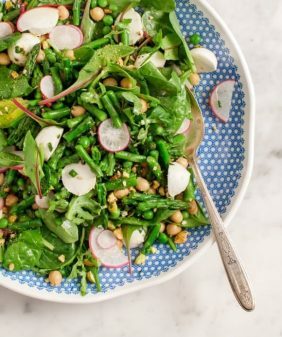 Especially in the spring – good for breakfast or dinner!! And I love the peas in there! A nice pop of sweetness – yummy! How would it be reheated for breakfast? I’d like to make this and be able to grab a slice in the morning. Hi Kathy, I reheat slices in the microwave – not for long though, you don’t want the eggs to get rubbery. (It’s also pretty good cold). Hope that helps! if i make this the night before, will it be good the next day for brunch? hmm, it’s really the best the day-of (especially if it’s for company). 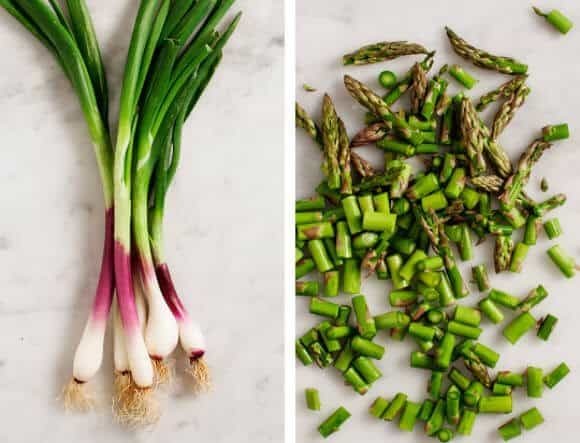 I would chop/prep all of my ingredients the day before and cook it up to a few hours before brunch (it’s good at room temp, doesn’t need to be piping not). thank you very much! sounds like a plan! Great tips. I had no idea about whisking the eggs. This is the perfect sunday brunch. Im adding cripy pancetta to mine, as husband and son complain when they can’t “see” the meat! I made this tonight, inspired by the beautiful photographs. It was my first frittata and I feel like I learned a lot. 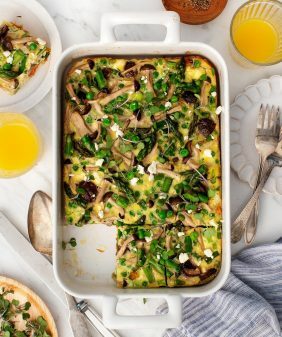 I was skeptical of the long cook time and high oven heat after reading many other frittata recipes, including other ones you’ve posted on this site. Sure enough, my frittata was done (sides pulled away, browning and losing jiggle in the middle) after just 15 minutes. I did use a 10 inch pan, but I also added more ingredients in proportion to the size. I liked the tip about foaming eggs in the blender to get more air into the mix. My frittata was very fluffy. Hi Kelly, glad you liked it! 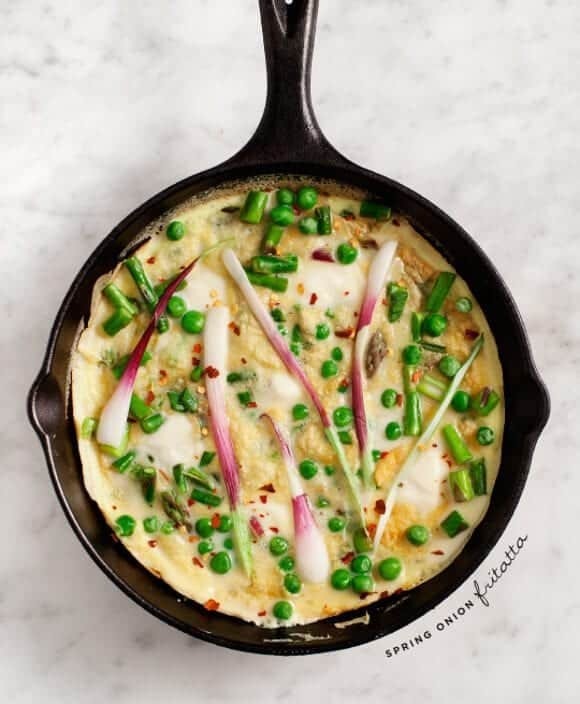 I find it’s most important to just cook it until it’s “done” which is sometimes hard to describe – it vary’s by pan size, type of oven, what you put in it, etc … glad you had a fluffy frittata! 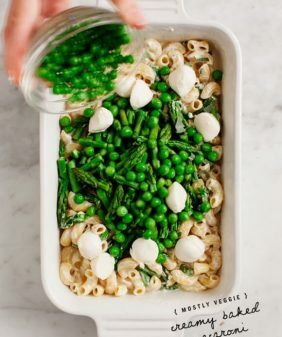 Can this be made ahead of time and frozen? I wouldn’t recommend it – I think the eggs would become a little rubbery when reheated. This one’s best eaten the same day – it’s pretty quick to make, you could chop and prep everything the day before and throw it all together in the morning. Hope that helps! Hi Teri, thanks for your feedback, I’m going to adjust the suggested cooking time to add the veggies and cheese in there sooner and I’ll test this time and temperature again. This sounds like an amazing dinner! It is beautiful. Can I make this with egg whites? If so, how much?? How about egg beaters? ?